Maritzburg United are out to make Jomo Cosmos their first scalp of the season when they take on Ezenkosi at the Harry Gwala Stadium in a TKO first round game on Friday night. Like Maritzburg, Cosmos are yet to win this season, having picked up two points from five matches in the league, the Team of Choice’s only point in the Absa Premiership having come from their 0-0 draw with Cosmos on August 15. Overall, Maritzburg have met with Ezenkosi on nine previous occasions, since 2005/06. United have won twice, Cosmos three times, and there have been four draws, including the league opener this season. While results have not gone according to plan for last season’s top eight finishers, captain Ashley Hartog is adamant that United are not playing bad football, and is hopeful that things will soon start to fall their way. "We're giving goals away far too easily and that's a concern. But on the other side, we've been outplaying teams and just concede goals. "It's not like we're not in the game, we are, and teams are not killing us on the field. So we need to concentrate more and focus, try to turn the tables,” said Hartog. 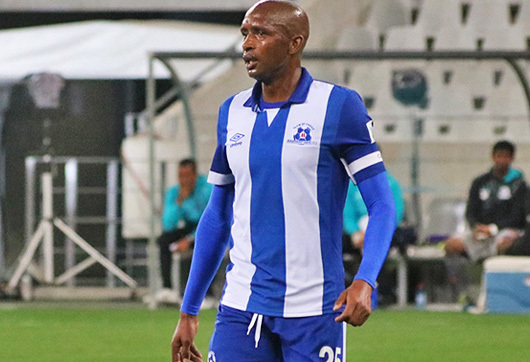 And as the experienced midfield enforcer points out, time is still on Maritzburg United’s side as they look to rectify matters under newly appointed head coach Clive Barker. "I think we can still get out of this situation. We have to remain positive and look at the positives. If you look at the overall season, it's still very early days, so there is hope. We need to start turning things around as soon as possible,” said the skipper.